Lovehearts honestly just remind me of my childhood so much, and to have it in hand wash form is pretty damn cool! 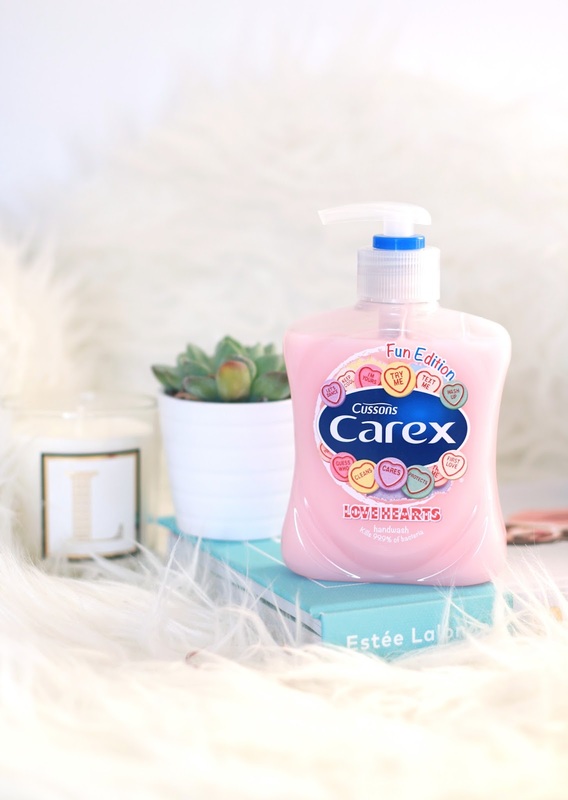 I’m sure you’ve seen this many times by now but, Carex have their ‘fun edition’ of hand washes. And I believe one of their latest editions is the Fun Edition Love Hearts Hand Wash*. If you are a fan of loveheart sweets, or just have a thing for sweet scents then this is going to be an essential for your bathroom. They’ve got the scent pretty much spot on, and I mean look how adorable the colour of it is. Who doesn’t love a good pastel pink?! My favourite thing about this, is that its also a hand wash that kills 99.9% of bacteria. Seems silly, but I will only ever buy hand washes that have this. So technically its super fun and really good for killing off any nasties. So its win win situation. Also if you’re on a budget, this is literally £1 from Boots at the moment as well – bargainnnnnn! Have you ever tried anything from Carex’s fun edition range?